If there is one constant in every culture on the planet, it’s that food is used to heal. The recipes that we use for our best health are often the ones that have been passed down through the generations. But there is another common thing that happens to recipes as they’re passed along – they change. It’s natural. As we experience and integrate the wisdom of other cultures we experience new foods and ideas. We take them and add them to the things we’ve carried with us, changing them and evolving them. For me, I’m constantly tweaking recipes because 1) I am a food therapy nerd and 2) I’m always looking for ways to make healthy food taste good. That’s where this recipe comes from. 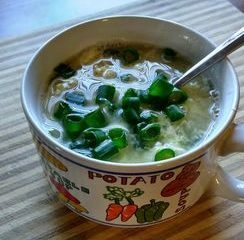 I wanted a way to make the most nourishing porridge recipe possible. 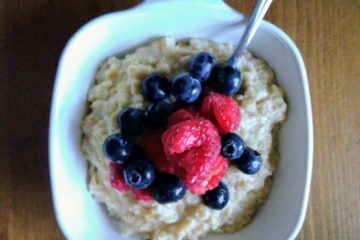 Breastfeeding mothers need ways to get as many calories and nutrients in their mouths as possible and this oatmeal recipe is a great way to do it. I developed it from my library of cookbooks ranging from Sally Fallon’s Nourishing Traditions to Paul Pitchford’s Healing with Whole Foods. (affiliate links). Sprinkle on some Traditional Chinese Medical schooling, add a dash of something I heard on a podcast once and let simmer with experience and BAM! a great tasting, filling and nourishing oatmeal recipe.